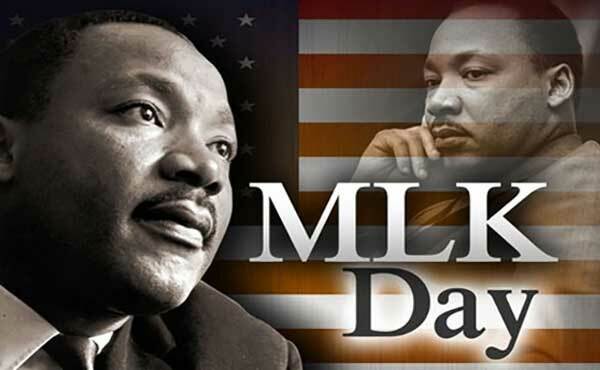 Monday Holiday Honors Dr. Martin Luther King Jr.
Today the nation observes the holiday marking the birth of Dr. Martin Luther King Jr. The holiday celebrates the life and legacy of a man who brought hope and healing to America. Dr. King was a leader during the Civil Rights Movement, in the 60’s, who encouraged minorities to stand up for their civil rights. His words still ring true today as they continue to inspire people of all races and creeds. Dr. King was born in Atlanta, Georgia, on January 15, 1929, and was the middle child of a Baptist minister. He was an active member of his father’s church and sang in the church choir when he was 10-years-old. When Dr. King was 15-years-old, he was accepted into Morehouse University after skipping two grades in high school. Within four years, he graduated from the College with a Bachelor of Arts in Sociology before moving to a theology seminary in Pennsylvania. Dr. King ended up with two separate Bachelor’s degrees as well as a Doctorate of Philosophy. King led what was considered the beginning of the Civil Rights Movement when he began a boycott of the public bus lines in Montgomery, Alabama, when in 1955, Rosa Parks refused to give up her seat to a white passenger and was arrested for violating the “Jim Crow” laws. The boycott lasted over one year until the United States Supreme Court ruled that is was against the law anywhere to enforce racial segregation on public busses and transportation. King is most well-known for his “I have a Dream” speech that was given during the March on Washington for Jobs and Freedom. Dr. King was assassinated in March on 1968, when he was in Memphis, Tennessee to support the black employees of the Memphis Public Works. Through his efforts, blacks and minorities were eventually granted many rights that they might not have today. On October 19, 1983, the U.S. Senate passed a resolution to create Martin Luther King Jr. holiday, and it is celebrated annually on the third Monday in January.